When you reinstall Windows or change hard disk of your OS, the machine id changes. The machine id is used to validate your license hence it will fail to register. 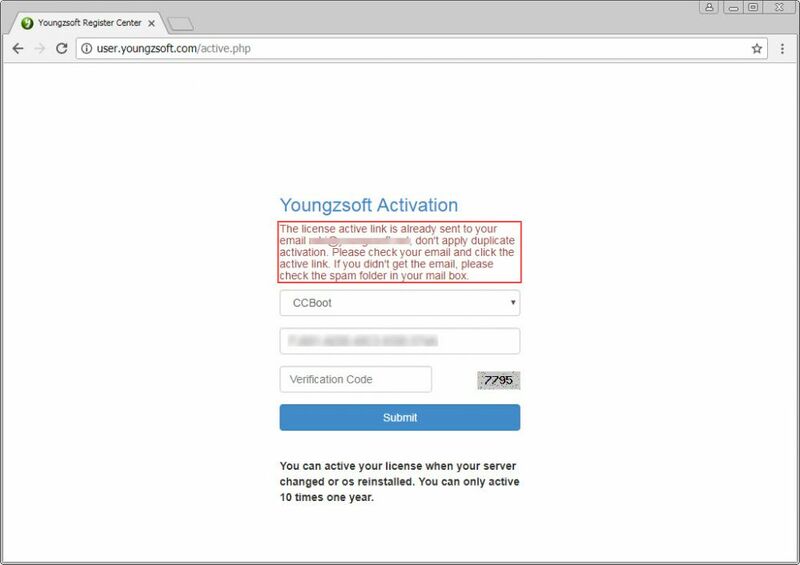 To solve this you need to reset your license once to use it again on your server. You want to upgrade you server with more powerful server. When you do that you need to reset your license again. a. 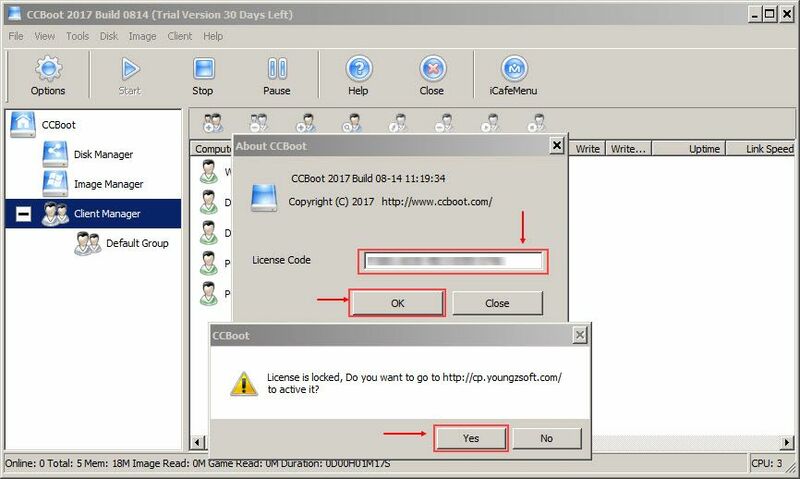 Open CCBoot and click "About and Register" then enter your license and click "Register", It will show an error window "License is locked", Click "Yes" button (Figure 1). b. 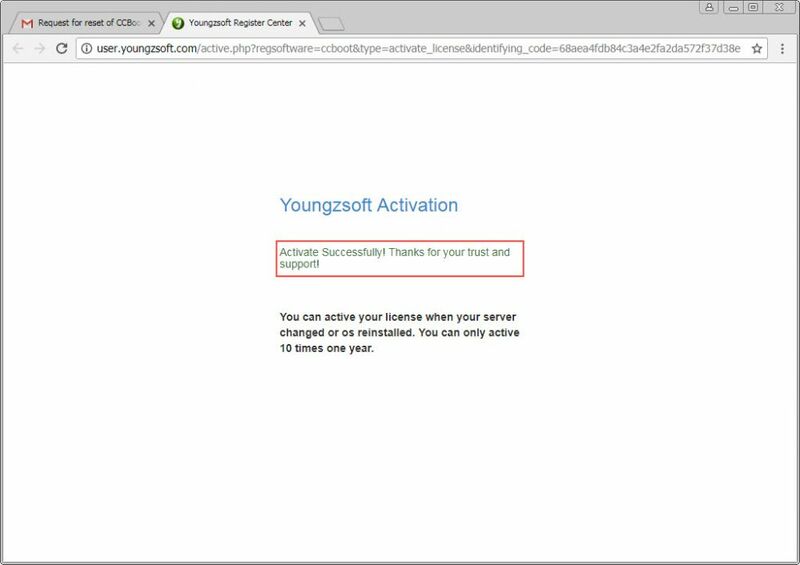 Now, on the web browser it will open "Youngzsoft Activation" page, enter the captcha and then click "Submit" button (Figure 2). 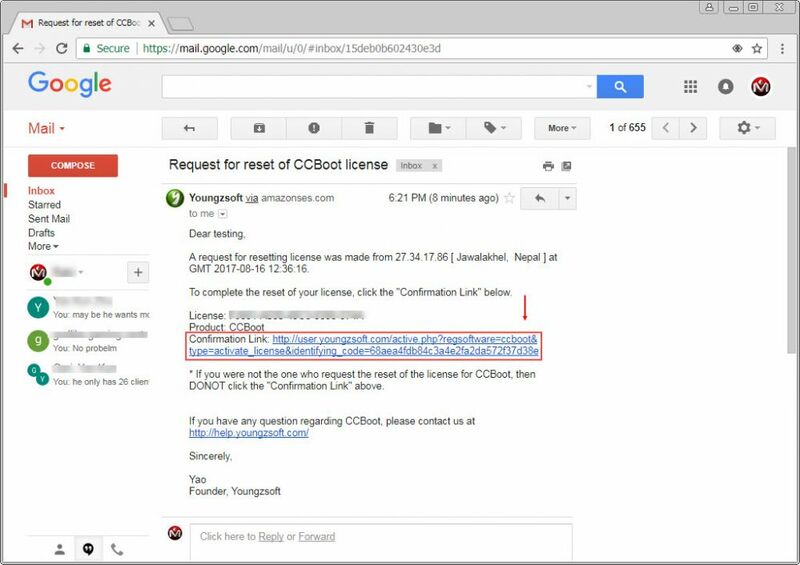 c. This will send a confirmation email for resetting your license to your email (Figure 3). 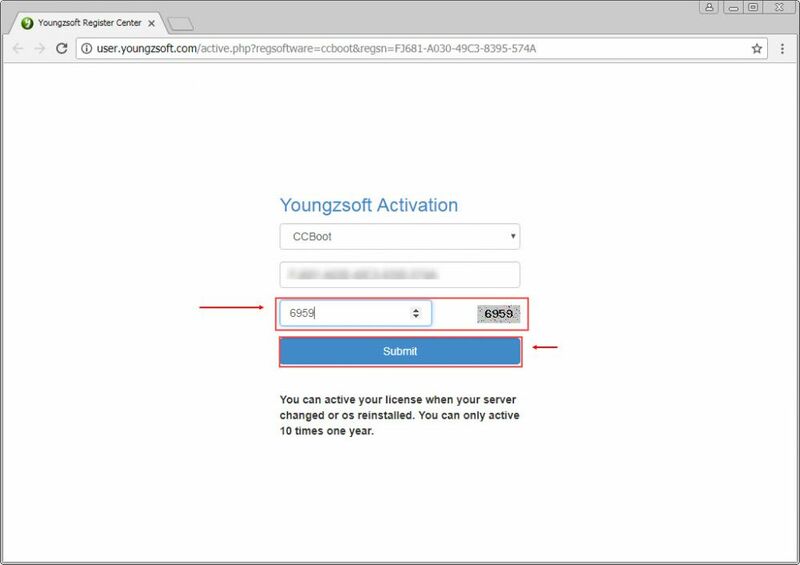 d. Login to your email account and then click the confirmation link (Figure 4). e. Once you click the link, you will see "Activation Succesfully" page (Figure 5). 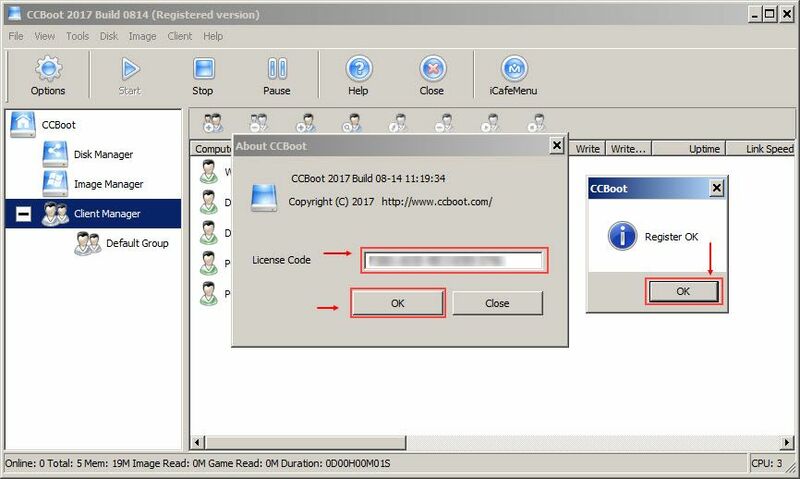 f. Now, open CCBoot and enter license and click "Register" button, it will successfully register (Figure 6).